If you see aerial views of Barcelona or approach the city from above, then you will find the Eixample district to be immediately striking: the board-like pattern of streets is particularly distinctive. The district connects the Old Town and the formerly independent communities of Gràcia, Sant Martí, Les Corts and Sants. More information about the district of Catalan Art Nouveau (Modernism) can be found on our page about Eixample. In the Eixample district, designed by the urban planner Illdefons Cerdà, there was plenty of room for the creativity of the Modernist architect to run free. So the area is a veritable open-air museum, in terms of Catalan Art Nouveau. Many of the buildings, such as Gaudi's famous buildings Casa Batlló, Casa Milà and the Sagrada Familia, are on the UNESCO list of World Heritage. In terms of gastronomy the Eixample district is the most creative part of Barcelona’s culinary landscape. You’ll discover a colorful mix of traditional, modern, or even experimental cuisine. In addition to the well represented Mediterranean cuisine, there are also cooks from all over the world creating magic in Eixample. They come from Asia, the Middle East, European countries or Spanish regions such as Andalusia and the Basque country. In Eixample you’ll find predominantly moderate to fine dining, you can also visit a number of Michelin-starred restaurants here. 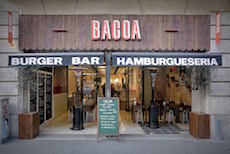 At Hamburguesería Bacoa in Barceloneta you will get delicious burgers made from organic meat or vegetarian burgers. The burger shops of the chain Bacoa are known for the best burgers in the city. 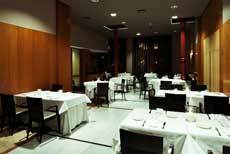 The Flamant Restaurant is located in the Eixample right behind the University. From the outside it looks very plain, inside elegant and formally with a modernist atmosphere. You might think, the here the time has stopped since the 20s of the previous century. 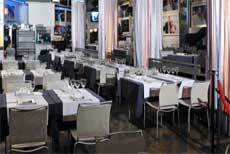 The restaurant Mixtel·la is adjacent to the famous Passeig de Gràcia. 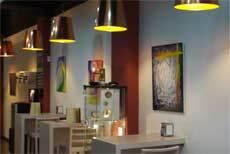 The word that gave the Mixtel·la restaurant its name comes originally from the Latin word meaning "mixture". 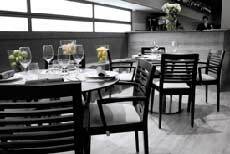 Along with fresh, seasonal ingredients and high quality Mixtel·la a provides a wide selection of wines and tapas. 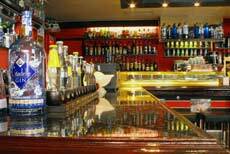 The name of the Merquén cafe-bar comes from a Chilean spice, which the Mapuche Indians used. It consists of chili, coriander and salt. In Merquén you can eat Chilean dishes. In addition, concerts by Latin American musicians often take place here. 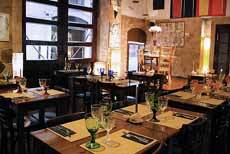 Xampú Xampany has been well established in Barcelona's restaurant scene for decades with its simple, but high-quality offerings. The restaurant is particularly proud to offer the traditional sausage from the region with its typical taste. For cheese and foie gras, you can also have a cava, the Catalan version of champagne, or enjoy a good wine. You will be knowledgeably advised in Xampú Xampany. Danzarama is a hip restaurant / lounge in the centre of the city, which certainly has a reputation as one of Barcelona's most cosmopolitan cities in Europe. The Danzarama offers over 600m², divided into two major areas, the restaurant, a lounge, a bar and a cafeteria. Danzarama also has a beautiful terrace overlooking the elegant Gran Via: a great place to watch people on warm summer evenings. Tthe Danzarama is a great place for a wide range of opportunities: an elegant dinner for your company, cocktails with friends or just a cup of coffee while you surf the web. 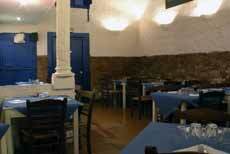 In Dionisos Urgell you can experience the distinctive character of Greek cuisine. In an atmosphere with a combination of Greek tradition and modernity. The Greek menu reflects the Mediterranean diet, which includes a healthy and balanced nutrition. Fresh ingredients cooked for traditional Greek dishes. The Zafra restaurant specializes in rice dishes and tapas. 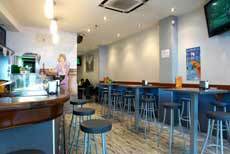 It has been at Girona 84 in the Eixample district for over 20 years, within walking distance of the city centre. It offers a very pleasant atmosphere, which is typical for the city. The Contempo restaurant is located next to the Plaça Catalunya, offering typical Catalan-Mediterranean cuisine in the middle of Barcelona city. The majestic entrance is part of a modernist building dating back to 1899. Enjoy the cuisine in the vicinity of several of Barcelona’s most important sights. In Atrapatapa each drink comes with a lid consisting of a free tapa, which you can choose from a wide range. The tapas are all homemade: Bombas Picantonas, shrimp, quail eggs, pork, onions, cheese, sausage, gazpacho, tuna, or beef patties and much more. In addition to the tapas, sandwiches are among the specialties of the house. The Amaltea offers a delicious vegetarian menu with a choice of several appetizers, entrees, desserts and various beverages. The menus are prepared according to the season: light and refreshing in summer, fortifying and full of minerals in autumn, regulating warmth in winter and invigorating in spring. Vegetarian cuisine, creative, with many international dishes and elegant presentation. The ingredients of these recipes are healthy and natural products, mainly cereals and leguminous vegetables, tofu and seaweed. Some vegetables are of biological origin. Homemade bread and desserts. 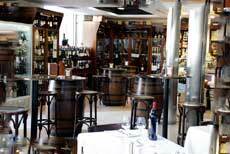 The Bistrot BCN restaurant offers its guests a pleasant, quiet and private atmosphere. 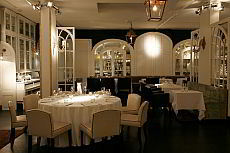 It is run by a young chef who began his career in the prestigious Lausanne Hotel School: Bernard Chavant. In Bistrot BCN you are offered a perfect combination of market cuisine in the Mediterranean-style with a touch of French familiarity. 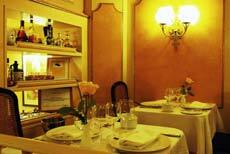 The restaurant is suitable for a business lunch or dinner with the family, as well as for a romantic dinner for two. Come to Mexico! 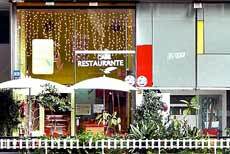 The Café Chapultepec restaurant has been offering traditional Mexican dishes at affordable prices since 2008. 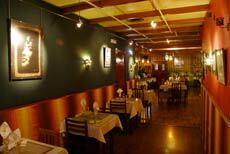 The restaurant is small and offers a casual atmosphere. You can enjoy enchiladas, tamales, chicken with mole, pork and other Mexican specialties. Also recommended are the traditional Mexican drinks: micheladas, margarita, tropical fruit juices and coffee. 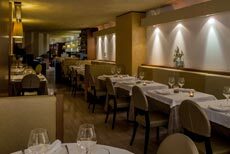 The young Style bcn restaurant is characterised by its impressive selection of quality dishes from the Italian cuisine tradition. The freshest ingredients are always used for appetizers, salads, pasta and risotto dishes, dishes with meat or fish and popular extra-thin crust pizza. The pizza is made the traditional way with real flour from Italy. For dessert, the chef especially recommends the tiramisu. 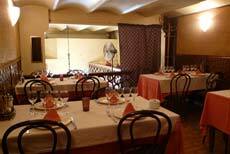 The restaurant has three dining rooms and a lovely terrace with different atmospheres. The El Chato offers its guests traditional and modern Basque cuisine. The menu offers a wide variety of dishes: Iberian ham, baby squid, cod, pil-pil, steak tartar, La Mancha cheese and much more. There is also a good selection of choice wines to try. 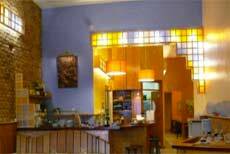 The restaurant has a long and proud tradition: the "El Chato" restaurant was opened in 1941 by Agustín Elorza and Avelina García. He came to Barcelona from a small village near Vitoria, and she came from Briones in the Rioja wine region. Ever since then the restaurant has continued to be run by their children, who offer modern variations in addition to the traditional Basque recipes. The Terra Mar restaurant offers a delicious selection of tapas and a la carte meals. The kitchen offers traditional cuisine and also follows current culinary trends in tapas culture and Mediterranean cuisine - with a "touch" of the Galician. In the evening you can enjoy a cocktail, the Terra Mar offers a wide selection of gin and tonic. One of the country’s best “Cockteleros” works here. In the Volubilis restaurant you can sample Morocco specialties, such as couscous, falafel and kebab. Now and again there is also some oriental belly dancing. The Gambito Barcelona restaurant specializes in traditional cuisine made using fresh ingredients, chosen by the chef Miguel Llorens, with a contemporary touch. At lunch you can choose from three starters and three entrees, including a vegetarian option. 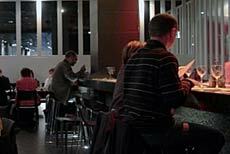 In the evenings and on weekends you are welcome at the bar for a drink or cocktail.